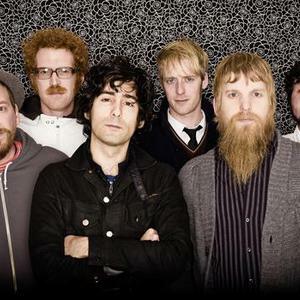 Blitzen Trapper is an experimental rock/folk sextet which formed in Portland, Oregon, United States in 2000. The band consists of Eric Earley (vocals, guitar, keyboards), Erik Menteer (guitar, keyboards), Marty Marquis (guitar, keyboards, vocals), Michael Van Pelt (bass), Drew Laughery (keyboards) and Brian Koch (drums, vocals). In various combinations and guises, the group had already played a long time together before the "crystalization event" in July 2000 on the slopes of the famous volcano Mt.